Sunday morning in the Autumn woods. We found ring after ring of Toadstools. This is the iconic Amanita Muscari mushroom, that grows as a symbiont with pine and birch. This is the toadstool of fairy tales and woodland enchantments. This is the toadstool of Alice’s’ trip in Wonderland. As if this wasn’t magical enough we also found a ‘smilestone’, I had never heard of these before, but this is project running from the Facebook page Sutton Coldfield Smilestones (painted rocks) where people paint and hide stones for others to find. I believe this particular group started in Sutton Park but people now hide and paint stones all over the region. How wonderful we found the toadstool stone. When you find a stone you can keep it, or re-hide it, either in the same park or at a local park by you, all they ask is that you take a picture of it and share to the group. The idea is that the little stones are found and they make someone smile – no strings attached. I know I am not alone in looking around at the world and wondering where it all went wrong, but it is little projects like this that restore my faith in the goodness of people. I am so looking forward to painting my first stones and participating in this project. There is still magic in the world. Just go looking. p.s. Please don’t ever eat a wild Mushroom from the woods! These babies are poisonous! well, not unless you are a 100% Ray Mears type mushroom expert, and even then check with Ray Mears before you do! We have the painted stone project happening where we live too! 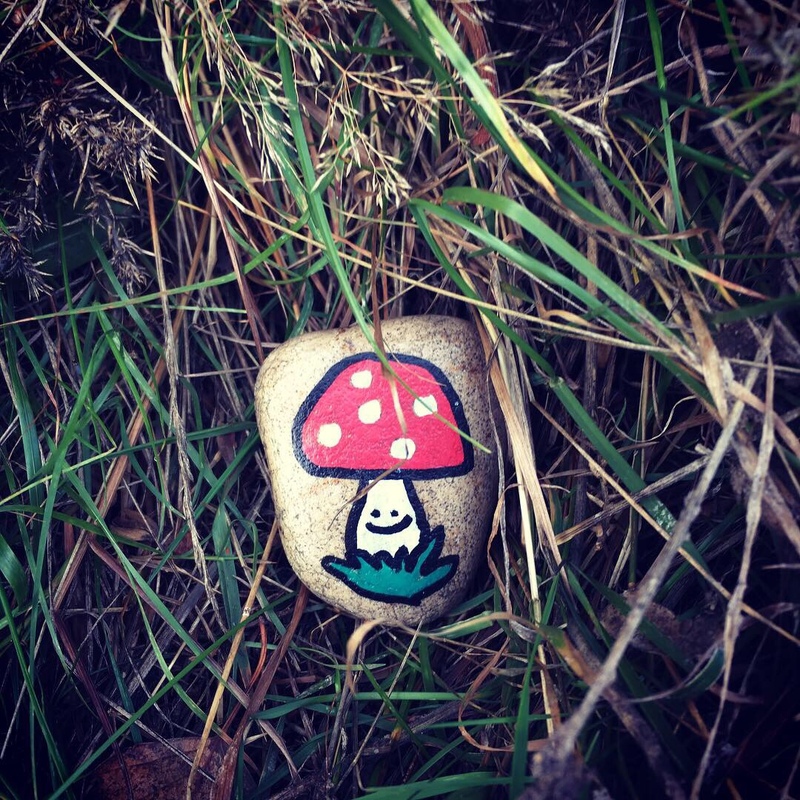 We often find little painted stones hidden around where we take our dog for walks. I love that they’re called smilestones. I hadn’t heard that name before! I had never seen them before, but they are such a lovely idea aren’t they! Glad you have them too!